We hear it all the time. 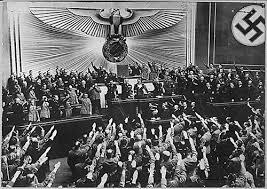 Politicians, world leaders and other public figures are compared to Hitler. Political and social movements are often compared to Nazism. Saddam Hussein, George W. Bush and Barack Obama have all been compared to Hitler. In the United States, it is popular to compare the Republican Party to the Nazis. I am in agreement that Nazi analogues are overused, and such comparisons are often unfair, disrespectful and offensive. The mass murder, mass torture and aggression perpetuated by the Nazis should not be trivialized by invalid comparisons. However, I would argue that references to Nazis and World War II are not always inappropriate. It depends in what context that they are used. Furthermore, in our culture, it is inevitable that people will often make references to Nazis when discussing current events. World War II and its ghastly details comprise a shared mythology for those of us in the West. As an event, it may be the one incident in recent history that almost every human being has at least a rudimentary understanding of. So many of our heroic stories find their origins in World War II. From comic books to scholarly discussions of history, literature and art, this terrible human event still has a profound impact upon on our culture and our discourse. When one mentions the names Pinochet, Pol Pot, or even Stalin, one will inevitably lose some people. This is not so with Hitler and the Nazis. Almost everyone instantly recognizes the name of Hitler and understands what one is talking about when references to him are made. The same thing is true for the term Nazi. That word is far more recognized than Khmer Rough or even Communist. For the reasons stated above, sometimes references to Nazism makes sense. For instance, the Nazis famously burned books. They made great spectacles of their book burnings. However, they were not the only group to do so, nor were they the first. When groups burn books for political reasons, I still hear people ask why that is such a bad thing. I would argue that in such a discussion, a reference to the Nazis may be appropriate. Referring to other nefarious groups that burned books often brings blank stares. 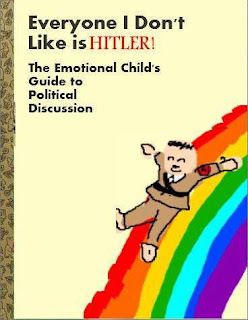 With that, it may also be necessary to point out that most people who burn books are not actual Nazis. Many of our heroic myths also find their origins in World War II. Thus, exhortations to resist current day tyrannies and lesser injustices often make reference to World War II-related events. Winston Churchill’s inspiring words are often used in this context. Once again, this is often the function of a shared mythology rather than misuse of a concept. Of course, it important to use such references intelligently and responsibly. It is usually wrong to call people or movements Nazis or Hitler-like. It is also intellectually lazy to reference the Nazis and Hitler when other references would serve an argument well. There are way too many such references used in both our formal and informal discourse. There is a lot of hyperbole involved with the use of names Nazi and Hitler. However, overuse and misuse are not the entire story. World War II and the fight against fascism is firmly embedded in our collective consciousness. It is inevitable that when struggles big and small present, we keep reflecting back to its imagery. The Fixed Period was Anthony Trollope’s foray into dystopian science fiction. Fans of the author will find this work radically different from his more famous novels in many ways. In my opinion, this is not up to the greatness of the author’s more traditional books or that of the early science fiction pioneers such as H.G. Wells. With that, I found the novel to be worthwhile exploration of philosophical issues and human nature. First published in 1882, the story is set in what was the “future” year of 1980. Britannula is an ex – British colony that had gained independence and become a republic. At the country’s formation all of its citizens were young, recent emigrants. At that time there were no older citizens. A law was passed called the “Fixed Period”. Intended to save the society the cost of caring for an elderly population, as well as preventing aging citizens from descending into the supposed indignity of decrepitude, the legislation mandated that all citizens be euthanized upon reaching the age of 68. One year prior to their end, the citizen would be sent to a bucolic campus called “The College” where the person would live out their last year in comfort and supposed honor. Thirty years after the passage of the law, the first effected citizen, Gabriel Crasweller, is nearing his 67th birthday. John Neverbend is President of the Republic. Ten years short of his own retirement to The Collage, he is a staunch advocate of The Fixed Period. As his time to retire to The Collage nears, Crasweller as well as many others citizens begin to question the concept of the Fixed Period and there is talk of resistance. Neverbend becomes an adamant defender of the law. Crasweller’s daughter Eva, as well as Neverbend’s own wife and his son Jack, are among those who choose oppose the law. A budding romance develops between Jack and Eva further complicating the situation. Unfortunately, the usual intricate complexity of character so prominent in Trollope’s other works is absent for most of the characters in this novel. However, Neverbend is still a fascinating literary creation. He is no firebrand, but can be best described as a calm fanatic. He clings to the idea of The Fixed Period despite all arguments and opposition. At times he even finds that idea of the upcoming euthanizes emotionally wrenching, yet he adamantly stands by the law based upon supposed principle. He also continues to see himself as a noble revolutionary and continually compares himself to both Galileo and Columbus. Trollope skillfully shows us the immorality and absurdity of the law while painting a picture of a character who honestly believes in it. This is a fascinating character study. Another reason to recommend this work is how well Trollope examines the way in which ideologies subvert language. If this book had been written after 1948 I would have commented that Trollope’s exploration of language was Orwellian. Yet this book was written years before Orwell’s invention of “Newspeak” in Nineteen Eighty - Four. At multiple points in the text, Neverbend shows his obsession with language and his attempt to control how the Fixed Period is talked about. In the above quote, not only does Neverbend object to the accurate term “murder”, but he seeks to forbid its use. Even in Great Britain, there is a “Minister of Benevolence” who seems to order warships from place to place. Once again, this smacks of Orwell’s “Ministry of Peace” from Nineteen - Eighty Four. In regards to this theme, Trollope seems very insightful and well ahead of his time. In addition, the idea of society killing its members at a certain age, while derived from an earlier play called The Old Law by Thomas Middleton, William Rowley, and Philip Massinger, has been used in multiple subsequent science fiction stories, perhaps most famously in William F. Nolan and George Clayton Johnson’s Logan’s Run. The issue of society struggling with high cost of care for the elderly, also seems prescient. This book is obviously different from the usual Trollope fare. Though not an outstanding novel I found it to be a good one. It contains interesting ideas that are worth are exploring. Though not up to the usual high Trollope quality regarding characters, plot and writing it nevertheless is an insightful character study. It also delves into issues that are to this day relevant. Ultimately this is a thought provoking and worthwhile piece of speculative fiction. 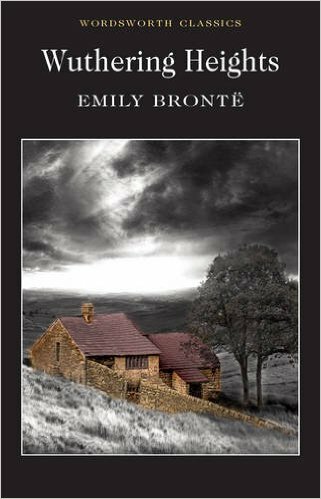 On one level, Emily Brontë’s Wuthering Heights is a case study on abusive people and their methods. The story’s main character is Heathcliff, who is an abusive man. While he perpetuates physical violence against his targets, his greatest harm might be psychological. He practices both emotional and verbal abuse. Moreover, he plans his cruelty and concocts elaborate schemes that run on for years with a goal of ruining people’s lives. One component to his abuse is the way in which he isolates people. Almost everyone who Heathcliff harms is, through his machinations, isolated from people who might protect or support him. At one point, through complex scheming, Heathcliff manages to reduce Catherine the Younger to the status of a near vassal. He forces her out of her own home and requires her to move to Wuthering Heights, where he can control and mistreat her. Nelly describes the scene when she is forced to accompany him to her imprisonment. "He signed her to precede him; and casting back a look that cut my heart, she obeyed. I watched them, from the window, walk down the garden. Heathcliff fixed Catherine’s arm under his: though she disputed the act at first evidently; and with rapid strides he hurried her into the alley, whose trees concealed them." I find the above to be an extremely powerful passage that symbolically describes the isolating process where Catherine the Younger is “hurried” into an alley of concealing trees. Heathcliff manages to isolate many other targets. When Isabella Linton makes the catastrophic decision to marry him, she is cut off from her family. When he brings her to Wuthering Heights, she is put into the position of a near prisoner. Heathcliff uses this opportunity to treat her with great cruelty. At one point in the story, Heathcliff demands that his son, Linton, come to live with him. In the process, Linton is isolated from his uncle and cousin who would have shown him compassion. Subsequently, Heathcliff introduces him to a cold existence that is completely manipulated by his father. Likewise, upon the death of Hindley Earnshaw, Heathcliff maneuvers to become the de facto guardian of Hindley’s son, Hareton. Under Heathcliff’s control, Hareton is raised to be illiterate and uncultured. Both of these children, isolated by Heathcliff, are molded in ways that are harmful to them. Furthermore, Heathcliff attempts to turn them into tools to be used to harm others. Catherine the elder, though not really a victim and a generally unsympathetic character herself, is in the end destroyed by her relationship to Heathcliff. Her obsessive connection with him isolates her from any genuine connection with anyone else, including her own husband. The pattern is consistent throughout the narrative. Heathcliff maneuvers again and again to gain physical and legal control of people. He keeps them as near prisoners or slaves at Wuthering Heights, and he treats them in horrible ways. He typically isolates his targets as a prelude to his abuse. When Catherine the Younger establishes a relationship with Hindley, the couple succeeds in breaking out of the isolation imposed by Heathcliff. This is the turning point in the story and seems to be a harbinger of Heathcliff’s decline. Heathcliff is a manipulative abuser. His penchant for isolating his targets is very realistic. In the real world, abusive people are often known to isolate and alienate their spouses, children, etc. from family, friends and the world at large. This is a well - known tactic of such personality types. In this novel, Brontë is portraying an aspect of the real world in a very realistic way. Brontë, like many other Victorian novelists, seemed to be a keen psychologist. Her examination of this aspect of abusive people is brilliant. Though he is monstrous, Heathcliff is a complex and nuanced character that one can spend a lot of time and words exploring. All of this is one reason of many that this book is well worth reading. 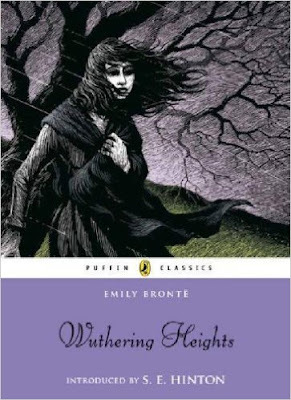 Emily Brontë’s Wuthering Heights is a world famous novel. This book, though disturbing in some ways, deserves the fame and accolades that it has garnered. This is the story of a man called Heathcliff and his malignant effects on those around him. It is a brilliantly written atmospheric masterpiece. Early in the story, the wealthy Mr. Earnshaw finds the orphaned and abandoned Heathcliff on the streets of Liverpool. He takes him to live with his family on his estate called Wuthering Heights, which is located on the desolate Yorkshire moors. The Earnshaw family unit also consists of elder brother Hindley and the tomboyish Catherine. Joseph is a servant who is a religious fanatic and a harsh and unforgiving person. Nelly Dean is also a servant who possesses a strong moral and ethical core (I should mention that there is a school of thought that contends Nelly is, in fact, immoral and that she is actually the true villain of this book. A Google search will yield various versions of this theory.) Nelly narrates most of the story. Though Mr. Earnshaw shows Heathcliff love, he dies within a few years. Subsequently, Heathcliff is treated cruelly by Hindley and others. Simultaneously, Catherine and Heathcliff develop a love that can only be described as obsessive. This bond seems to transcend any conception of a conventional relationship and is a major driver of the remaining narrative. Like many of the characters in this book, Catherine’s personality can only be described as unconventional. The proper and bookish Edgar Linton is simultaneously courting her. She eventually agrees to marry Linton with the seemingly bizarre intention of using Linton’s financial resources to raise Heathcliff’s standing in life. When Heathcliff discovers the engagement, he flees the area and disappears for several years. When Heathcliff returns, he finds that Catherine and Linton are married. Heathcliff spends the subsequent decades vengefully destroying both the Lintons and Earnshaws. He reestablishes his connection with Catherine and threatens Edgar. The emotional turmoil helps drive Catherine to her death in childbirth. Simultaneously, he marries Edgar’s sister Isabella and treats her with extreme cruelty. He gains control of Wuthering Heights and, eventually, the Linton properties. In plot developments that are even more sinister, he also gains control of people. Among those that he brings under his yoke are his own estranged son, Linton the Younger; Hindley’s son, Hareton; and the Lintons’ daughter, Catherine the Younger. He strives to destroy all of these people in Machiavellian ways. This leads to great suffering. His manipulative abuse is both physical and mental and makes parts the story difficult to take. There are multiple themes contained within these pages, each containing multiple levels of complexity. The characters and their interrelationships are also multifaceted. This book is full of deep yet enigmatic characters. The dynamics of abusive personalities and how they interact with others are explored in all sorts of ways. Brontë also delves deeply into the themes of destructive love here. The nature of good and evil is also explored. I want to share a few words relating to the theme of culture and literature and how this fits into the worldview that Brontë is trying to portray. Heathcliff has become a monster. Though he is intelligent, in many ways he represents the negation of civilization and learning. Books play an important part in this representation. At one point he forces Catherine the Younger to live at Wuthering Heights, where he can control her. In one of many acts of cruelty that he perpetuates against her, he destroys her beloved book collection. Books were an important part of Catherine the Younger’s life. They represented hope to her. This act of destruction seems to represent an antagonism between literature and the dark forces that crush hope and also despise learning. Later, an important development occurs involving Hareton. Heathcliff is trying to raise the young man as an illiterate brute, devoid of learning and culture. This fits in perfectly with the contention between malevolence and anti-culture contained in this work. However, there are signs that there is humanity inside Hareton despite his inadequate upbringing. He is struggling to become literate and is collecting books that he attempts to read. He begins to develop an attraction to Catherine the Younger. At one point, after she mocks his efforts to read classic literature, he responds with hurt and rage and proceeds to destroy his own secret collection of books. Again, the destruction of books is linked to despair and human failure. By scorning his attempts to better himself, Catherine the Younger has temporally allied herself with the dark forces in the world. Her vitriol is emotionally devastating to Hareton. It translates into the destruction of culture and literature. I think that the above represents the point in the narrative where morality and hope are at their lowest ebb. 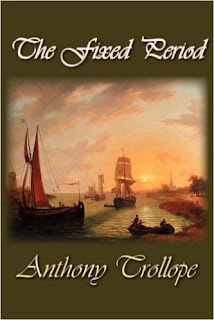 Later, when the bond between Catherine the Younger and Hareton is being formed, it is books that bring them together. When Catherine gives him the gift of a book, it helps to spark their budding relationship. This relationship is the ultimate driver of hope at the novel’s end. After Heathcliff’s death, when sanity has been reestablished in the world, Catherine the Younger is seen helping Hareton to improve his reading. The theme of reading books and yearning being connected to the good and virtuous aspects of the world is complete. This book is often compared to Jane Eyre, written by Charlotte Brontë, Emily Brontë’s sister. I thought that Jane Eyre was one of the greatest novels ever written. That work seemed to unify vital themes about humanity and the universe with unparalleled characterization. While I do not hold this novel in as high esteem, it deserves its reputation as a great and important classic. I have barley scratched the surface above. Thus, I will be posting at least one additional entry on this work. Brontë has melded so many brilliant elements into this novel that it deserves additional posts. Though disturbing in its depiction of an extremely abusive personality, it is full of ideas, brilliant characters and superb writing to name just a few of its virtues.